NHP models of obesity, dysmetabolism, and diabetes are the most translatable animal model for human metabolic diseases, and we have validated our colony to demonstrate for the first time that, similar to human disease, NHPs also develop hepatic pathology with characteristics of NAFLD/NASH. 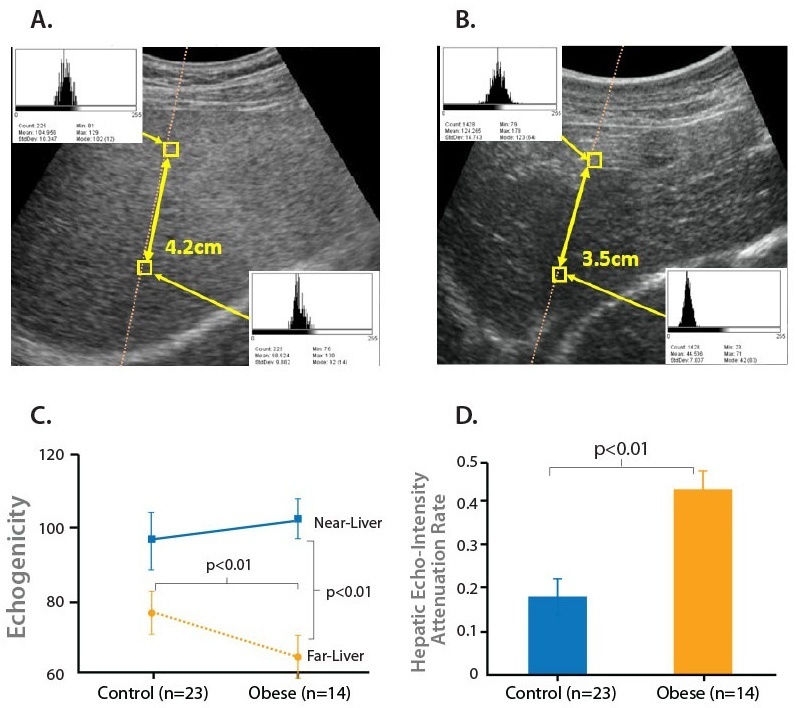 Using our unique spontaneously obese and dysmetabolic NHPs we developed an ultrasonography method for noninvasive measurement of hepatic lipidosis and other pathologic changes in correlation with multiple metabolic disorders and liver fibrosis biomarkers. Ultrasound Images for Control (A) and Obese (B) NHPs Echo Attenuation. Obese NHPs Have a Significantly Greater Hepatic Echo-Intensity Attenuation Rate than Control. 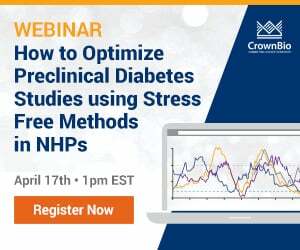 The similar pathogenic characteristics and accompanied risk factors observed in both humans and NHPs make the CrownBio NHP model of spontaneously developed obesity, dysmetabolism, and diabetes a unique translational tool not only for studying the pathogenic mechanisms in disease progression, but also for testing novel pharmacological interventions or medical devices for diabetes related NAFLD/NASH. 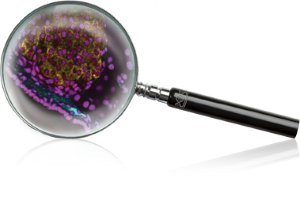 Contact us today to discuss your NAFLD/NASH project needs and to experience the value of our expert service.